SportChaser was founded by Amelie Wisniak and Tamara Prud’homme in July 2013, image via NY Post. SportChaser.com will release SportChaser for iPhone®, iPad® and iPod Touch® at the App Store so loyal fans can discover sports bars and connect with fellow fans in NYC. Sports Techie blogged about this innovative startup, the two co- founders and their compelling story right before Super Bowl 48, read it here. 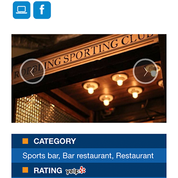 The novel SportChaser app, created as an extension of SportChaser.com, provides sport fans in NYC instant mobile access to their choice of bars that best match their search specs and atmosphere needs, regardless of their favorite leagues (NFL, MLB, NBA, NHL) or sport(s) (football, basketball, ufc, golf, etc.) and location. The app requires OS 7.0 or later. “With this app, we decided to go one step further in helping sports fans finding bars on the go and answer their need for mobility. We received so many requests for this app; we are glad this is finally happening” explained Amelie Wisniak, SportChaser co-founder and CEO. 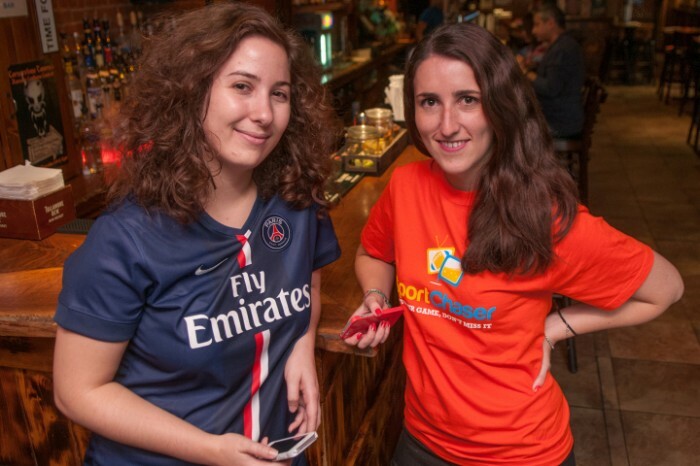 Founded by Amelie Wisniak and Tamara Prud’homme in July 2013, SportChaser.com is a website connecting sports fans to more than 300 bars in New York City by locating bars that broadcast their preferred sporting event. SportChaser is an app to discover sports bars and connect with fellow fans in the NYC areas, available in the App Store. Sports Techie, This bootstrapped sports tech company of three is eagerly talking to investors and are spring loaded to raise needed funds in order to expand the offering to other cities, hire more employees and improve their algorithms, while developing more bells and whistles, including an Android version and Twitter interface. A new Spanish language version will be developed next. This freemium model for bars does have a paying component for additional business services such as uploading menus, increased exposure and access to subscribers. Negotiating deals for users is what they want to do best, if they can get a special offer like free beer it becomes a win-win for the establishment and happy patrons. Look for college alum to be targeted so alumni clubs can view their football and basketball teams in action on HD big screens. Currently, they piggy back off of Yelp ratings but in the future, information and rankings will be provided by their own ranking and review system. Filters in place allow a user to query by categories, neighborhoods and pricing. If you want a rowdy sports bar, a low-key option or a restaurant environment, it can be found using their product. There are 15 total sports available for fans including MMA, volleyball and cricket. 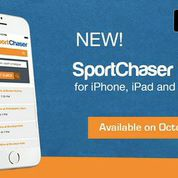 Be sure to read the SportChaser blog on the website for information, sports specific articles and special events. Signup for their newsletter too where they highlight three hot games a week and a featured bar. These digital assets will help communicate advertisements and also attract sports fans to vendors. If you root for the SF Giants, the top 20 bars have plenty of fun MLB-centric options, not so for the KC Royals because as far as Amelie knows, there is no bar in town yet that is hosting these fans, unless you contact them immediately and signup to be that team affiliated bar in New York City. The bottom line is their free listing of scheduled games highlights any bar showing the game. Sharing this information with Facebook friends will help you all become inspired Chasers. I hope you give them a shot.